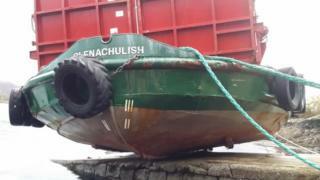 The MV Glenachulish, the world’s last sea-going, manually-operated, turntable ferry, operates on the Kylerhea Narrows between Glenelg and Skye. 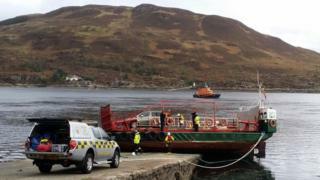 Kyle of Lochalsh and Mallaig RNLI lifeboats along with two passing ships went to the aid of the ferry’s crew. The boat was refloated at high tide. Coastguard officers also assisted at the scene. Vehicles were being offloaded at the time of the stranding, and one car was left stuck on the ferry after the tide rapidly dropped just after 16:00. 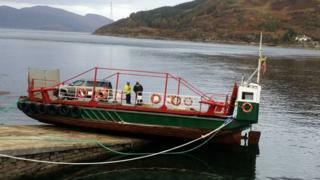 Kyle of Lochalsh RNLI and the two ships, Beinn Fhada and Annie E, tried to haul the ferry from the slip before the sea dropped further. 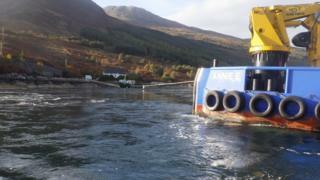 However, it was decided to refloat the ferry about five hours later at high tide. A Kyle lifeboat spokesman said: “The Kylerhea narrows is a fast flowing stretch of water, which has fierce currents running through it at eight knots. The Marine Accident Investigation Branch said it was aware of the grounding and was making initial enquiries.